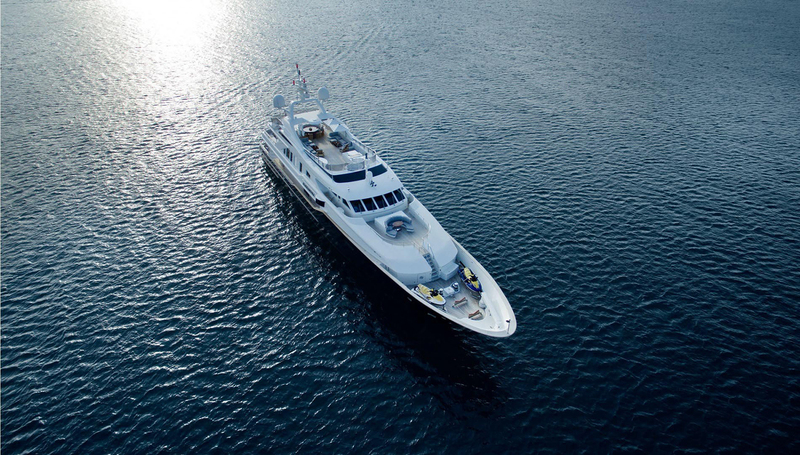 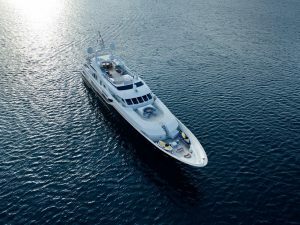 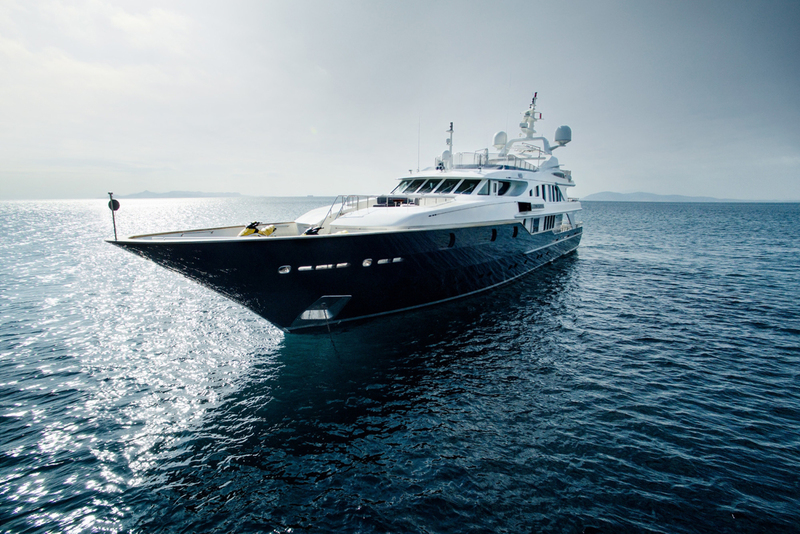 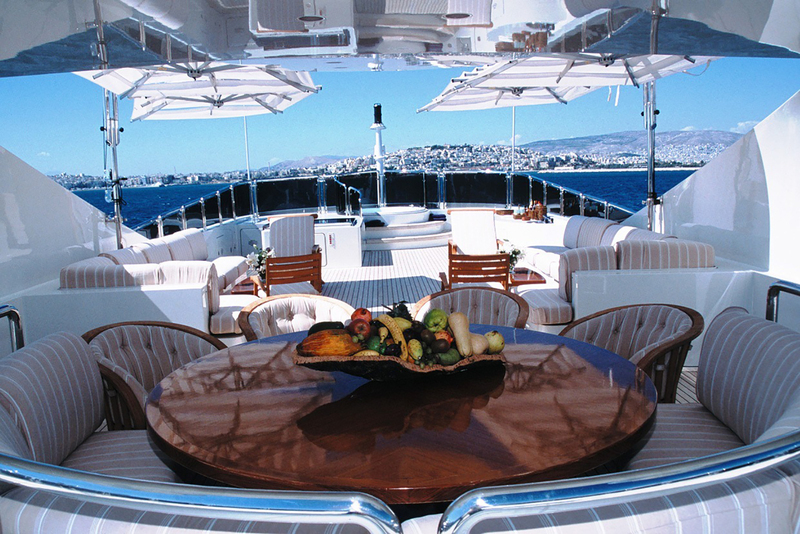 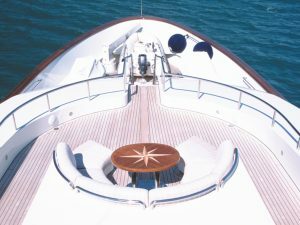 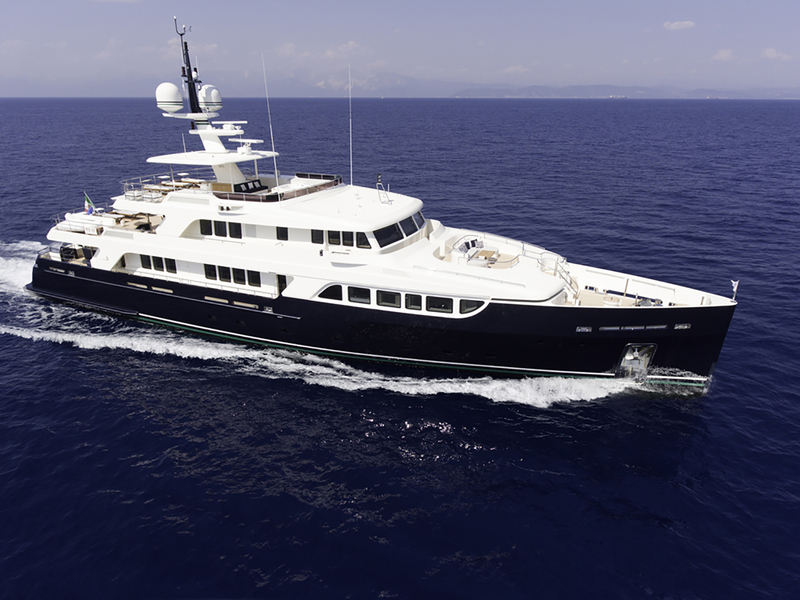 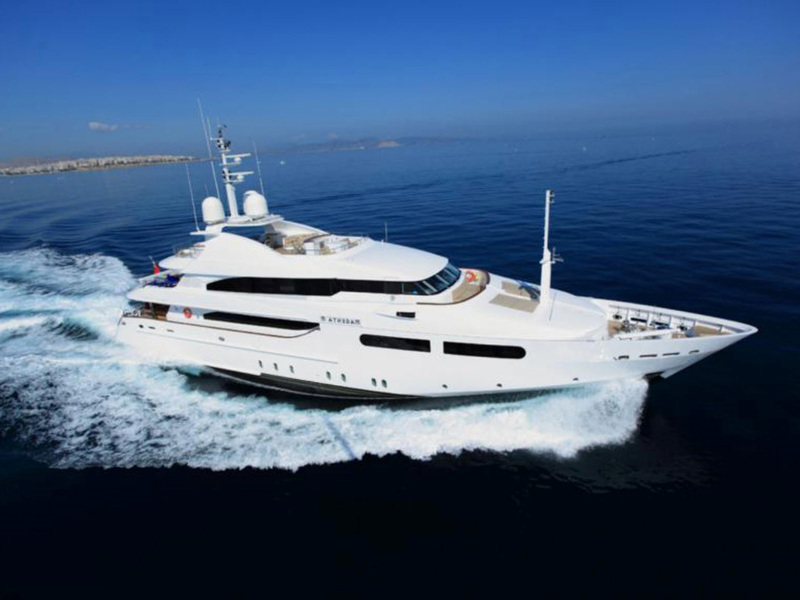 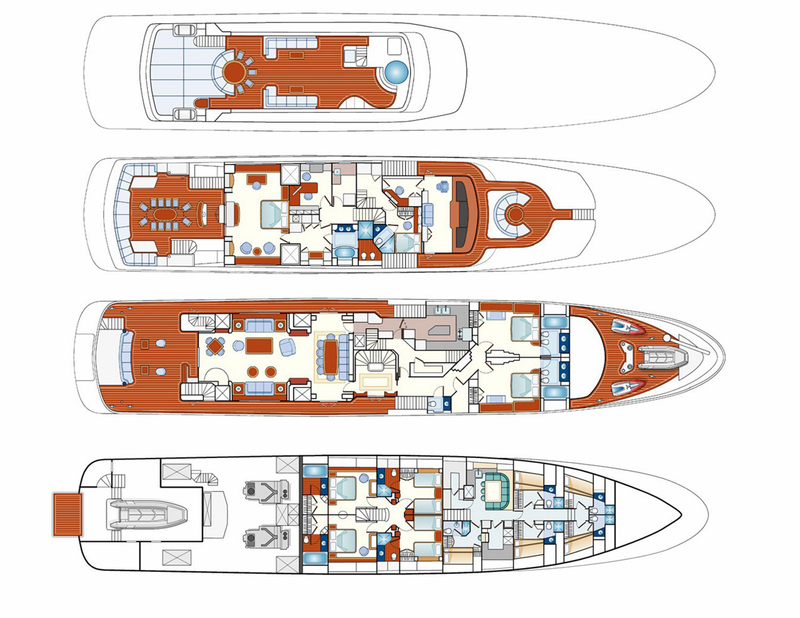 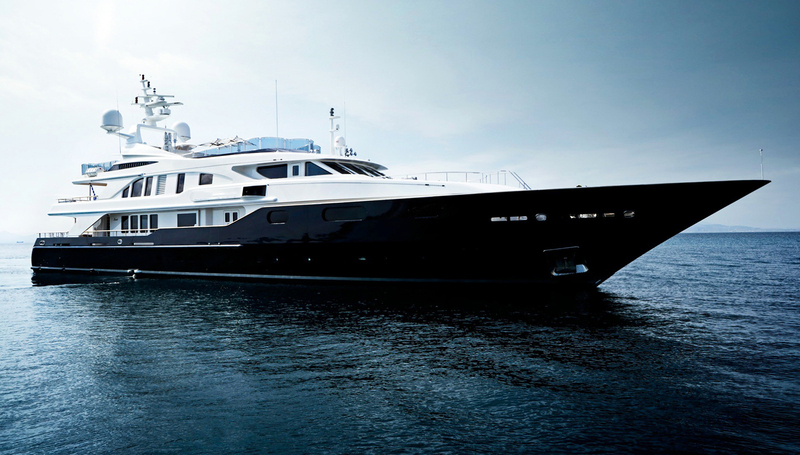 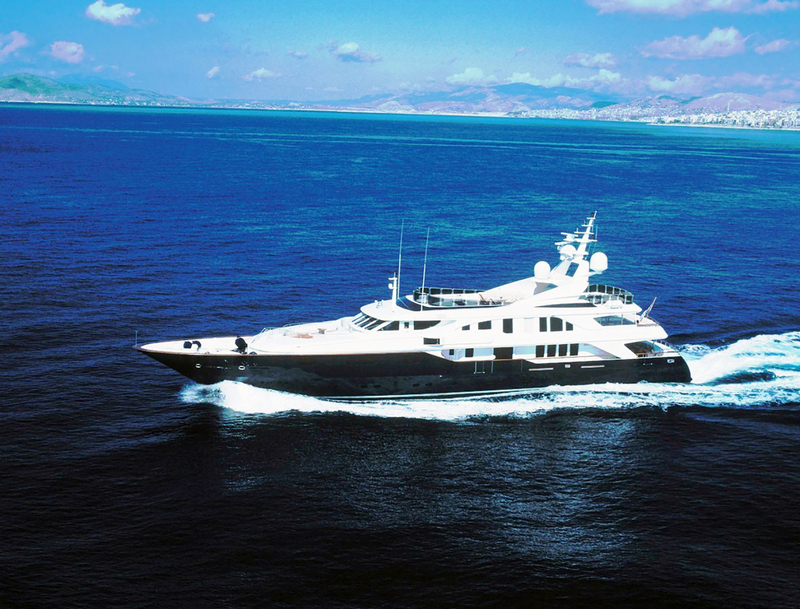 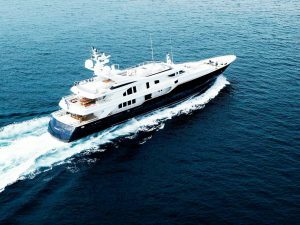 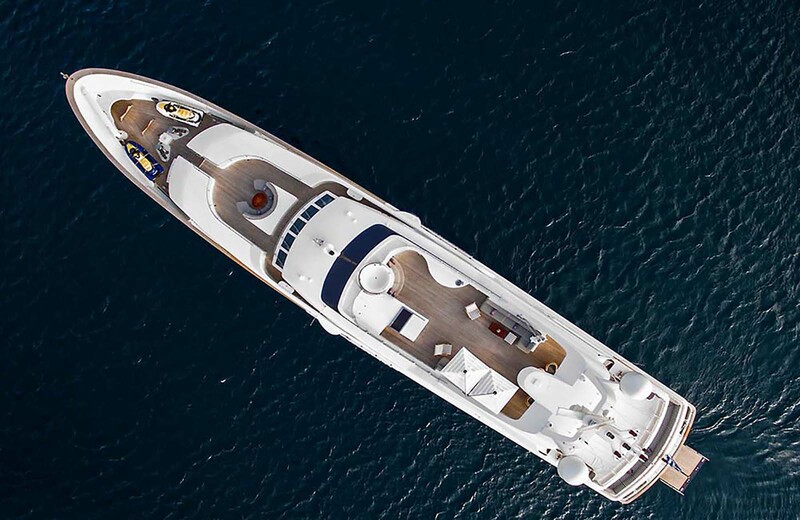 This beautiful timeless Benetti is an excellent example of the well acclaimed Benetti Golden Bay series. 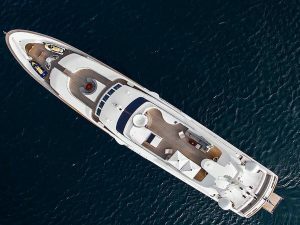 She has had the same owner since delivery. 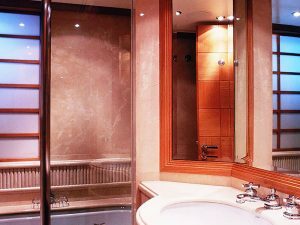 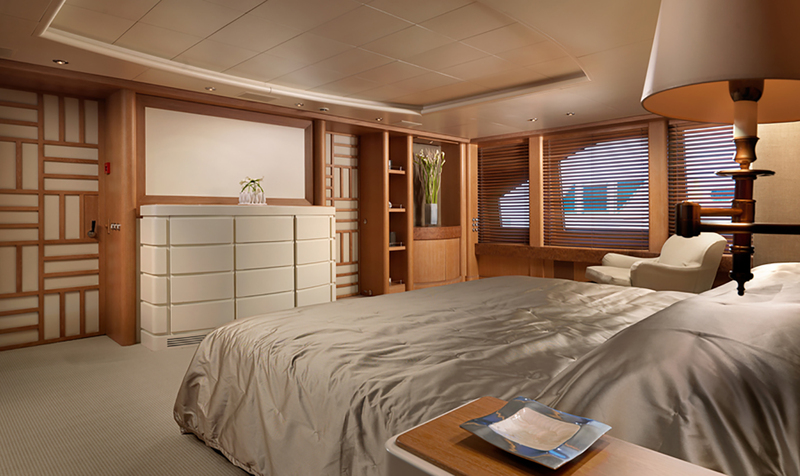 Terence Disdale’s interior design maximises the available accommodation. 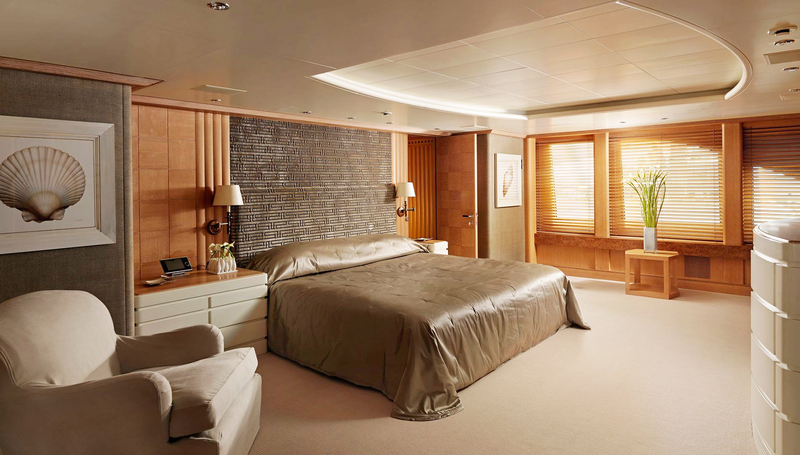 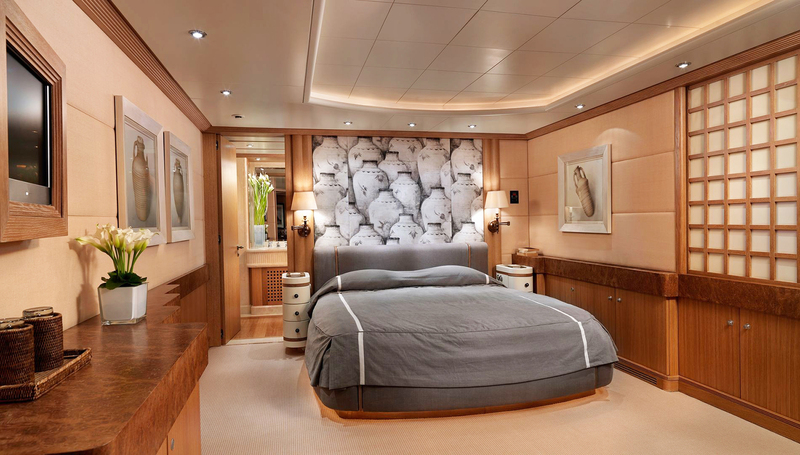 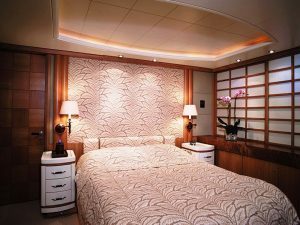 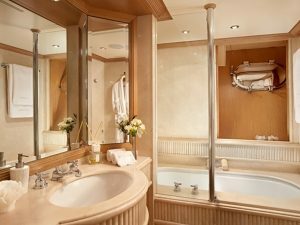 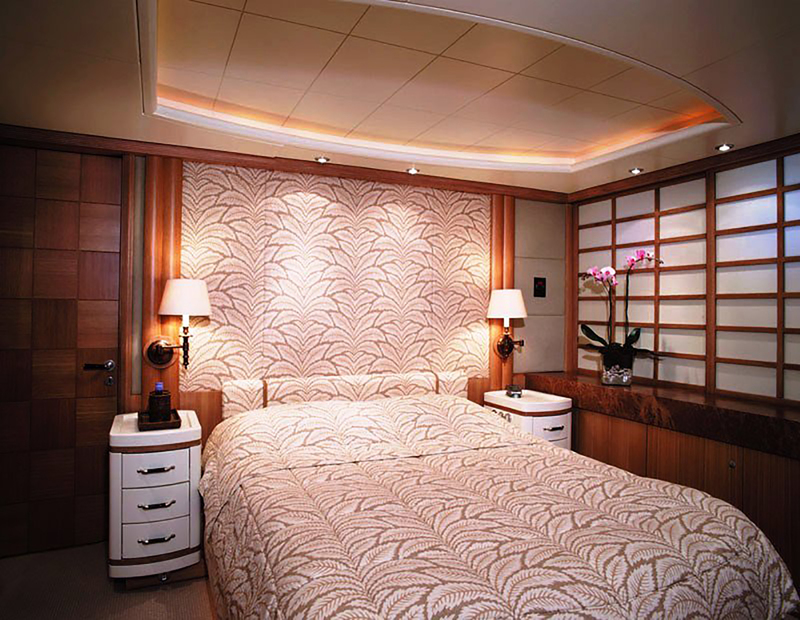 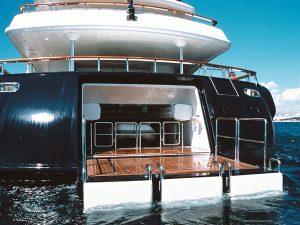 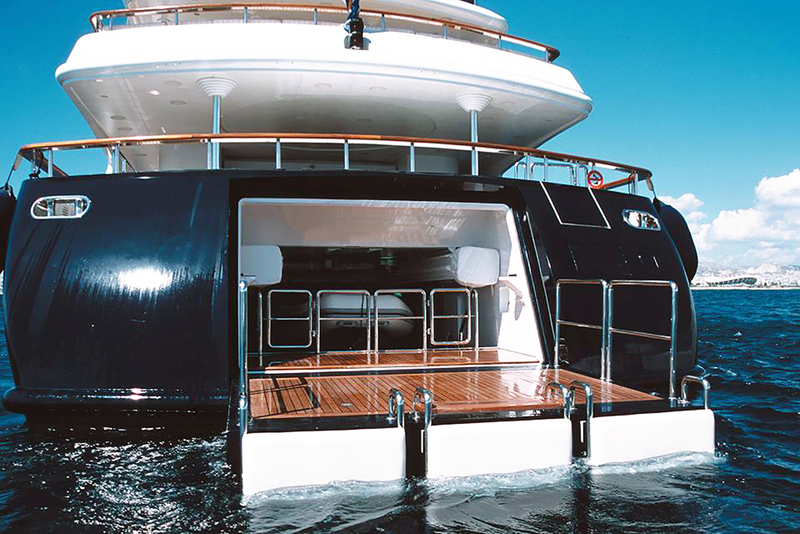 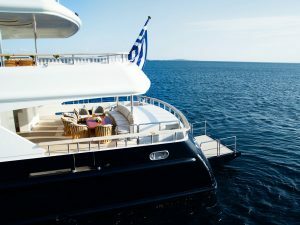 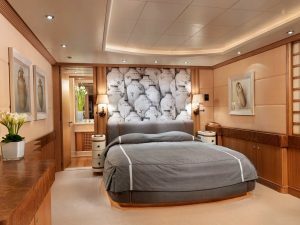 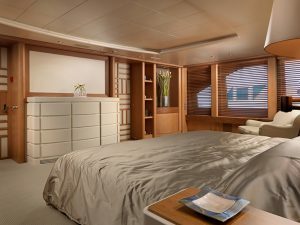 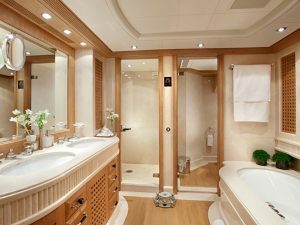 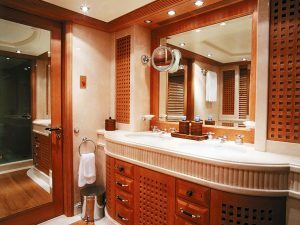 There is an aft facing Master Suite on the Bridge Deck. 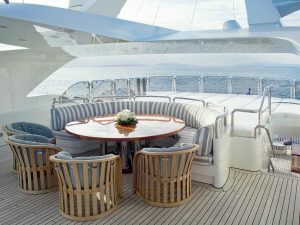 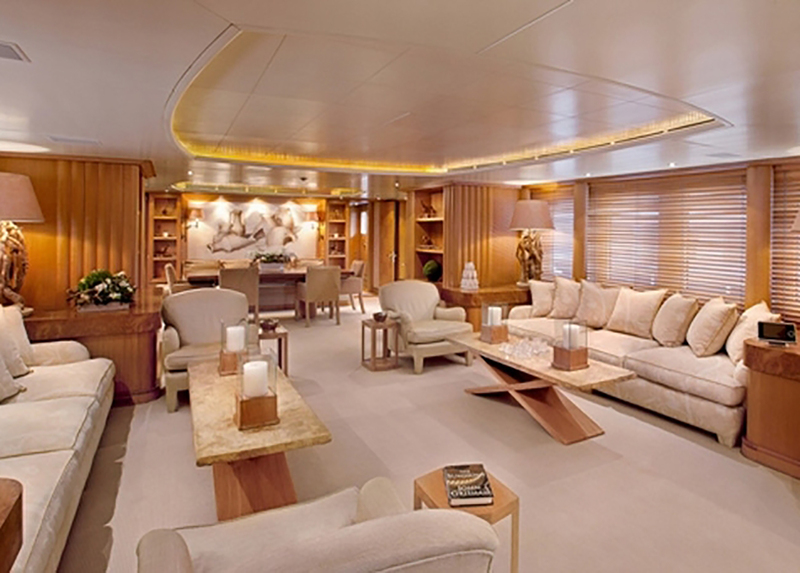 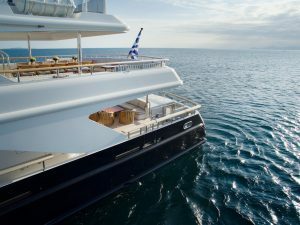 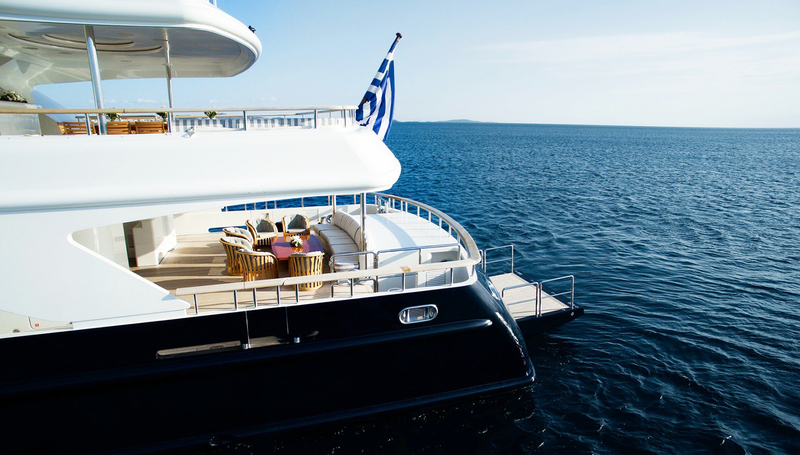 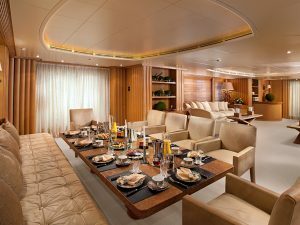 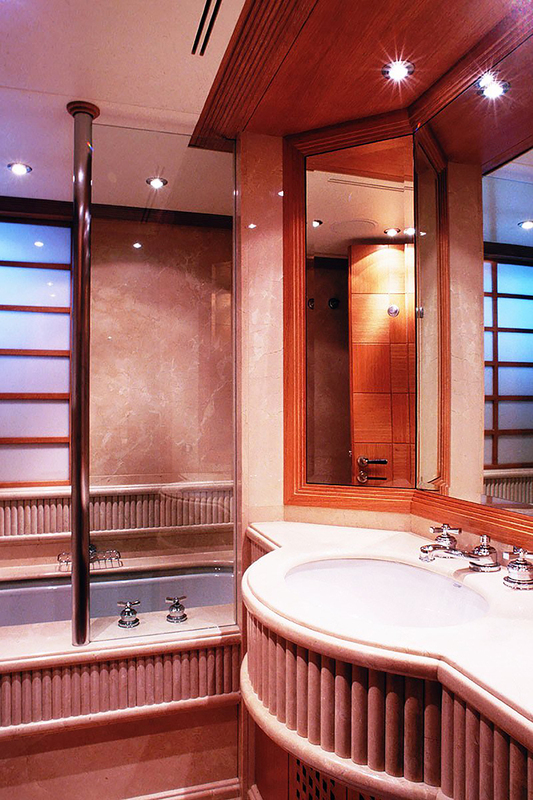 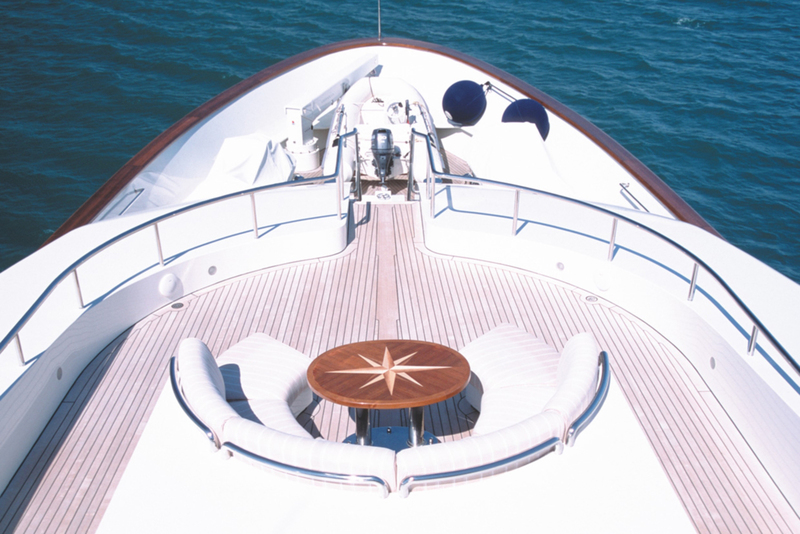 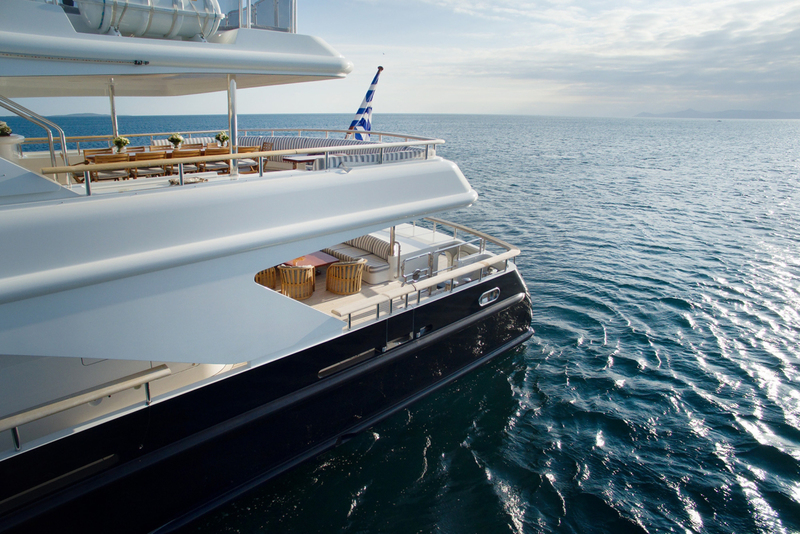 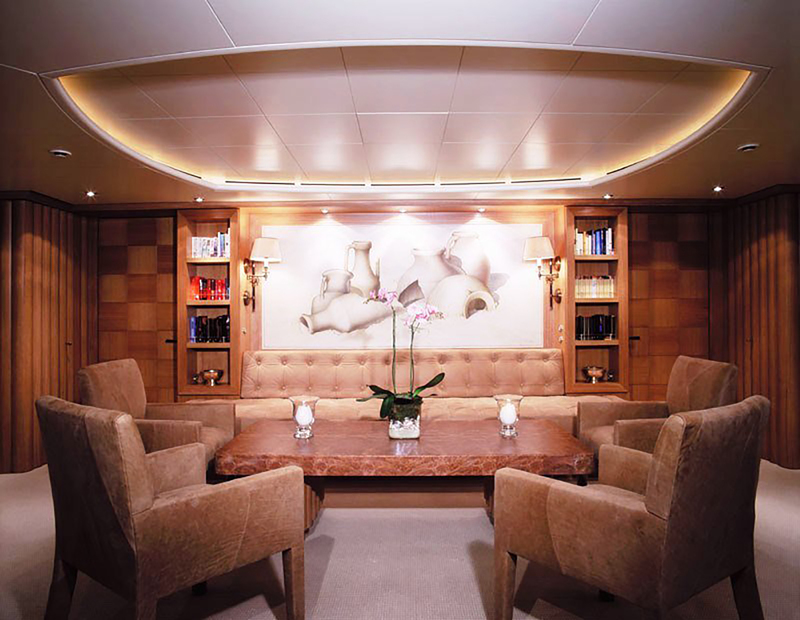 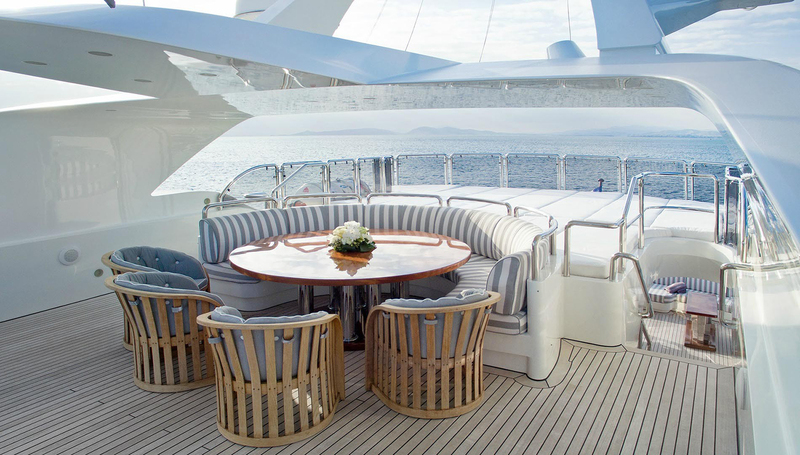 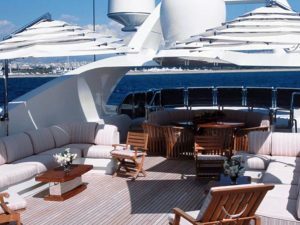 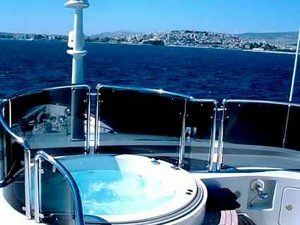 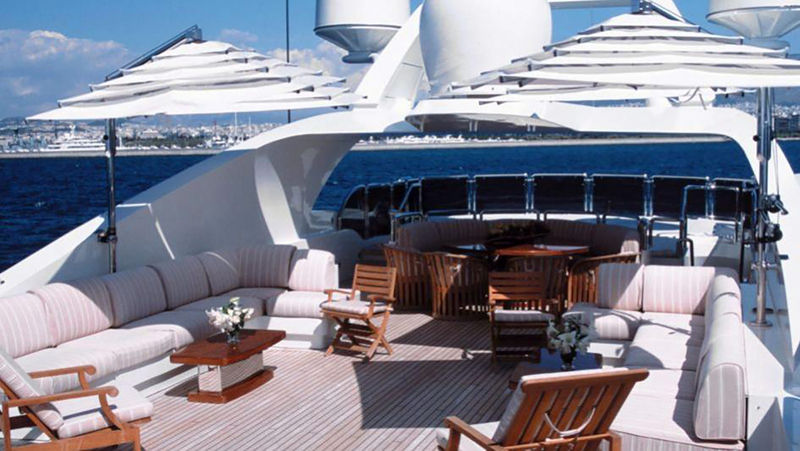 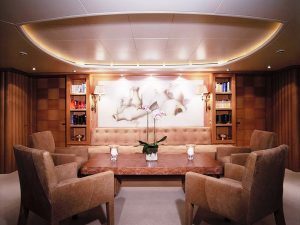 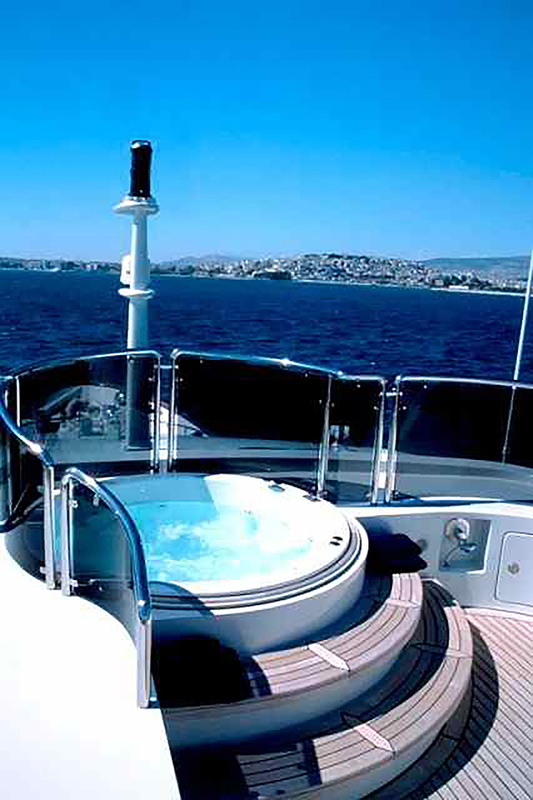 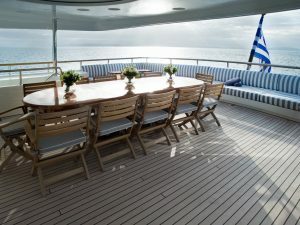 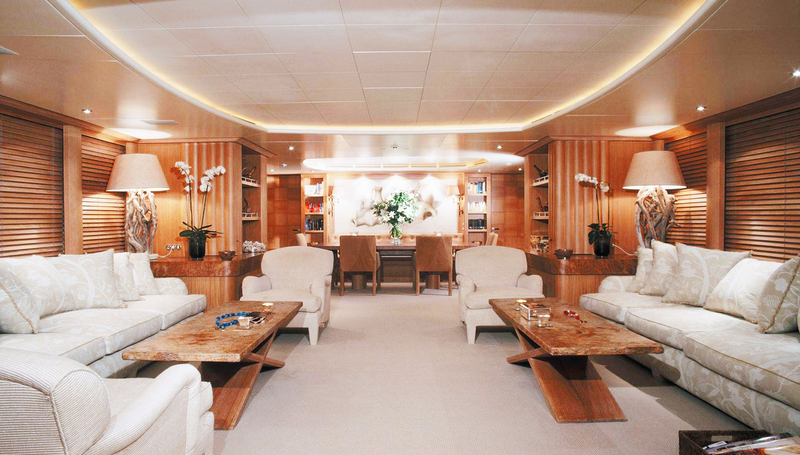 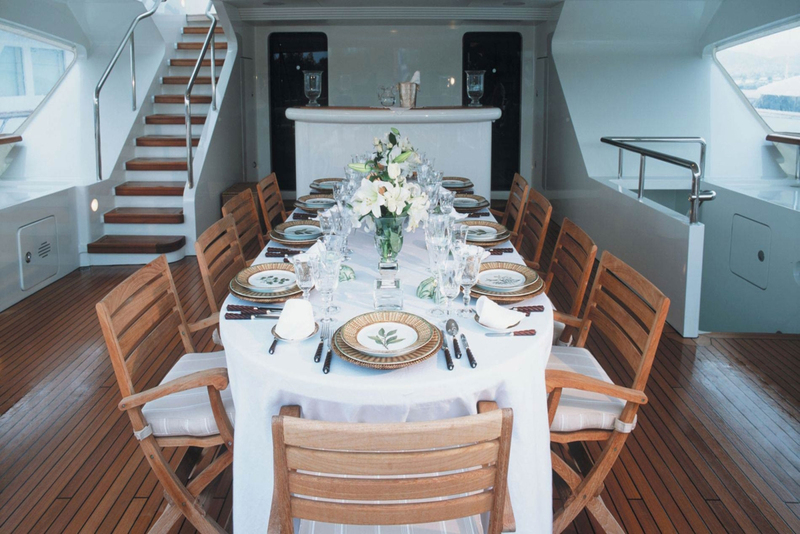 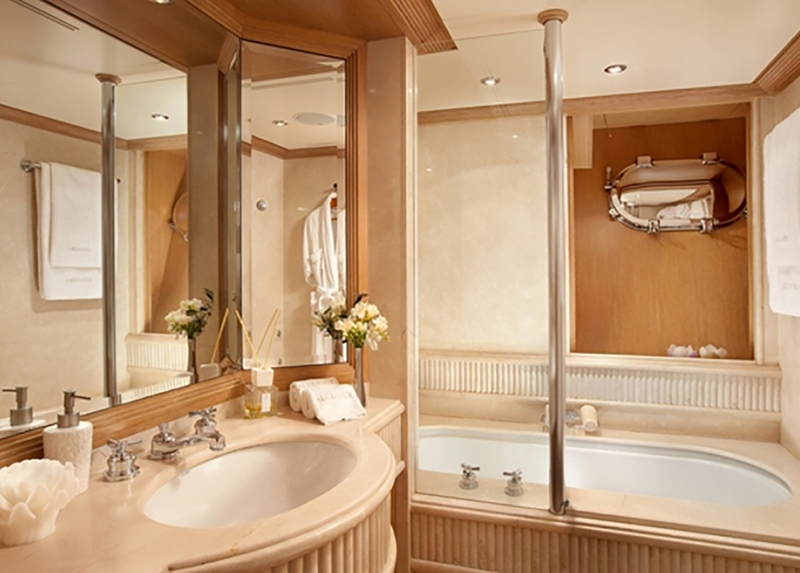 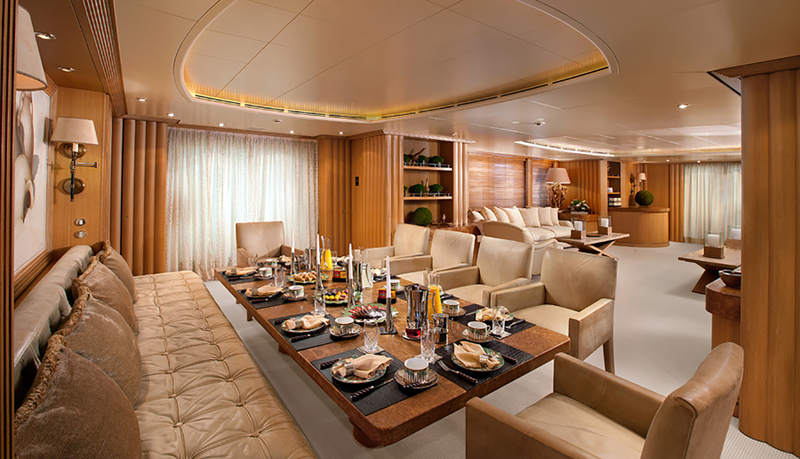 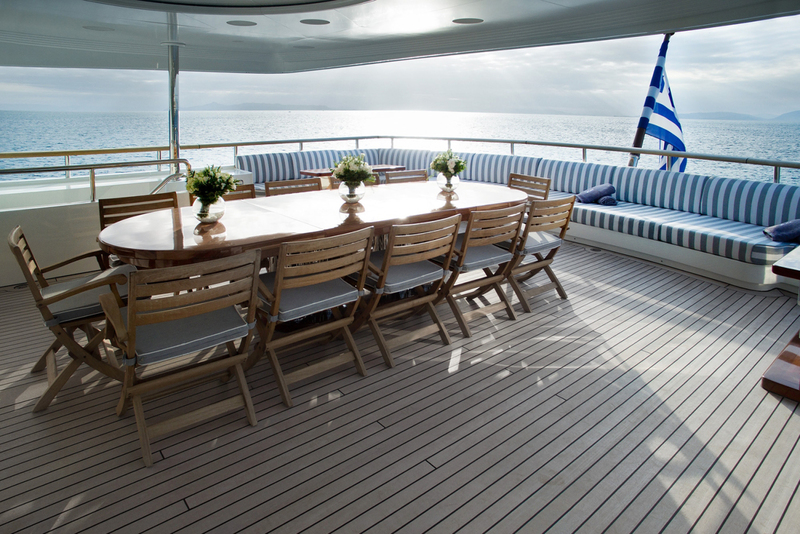 Furthermore, two VIP Suites can be found forward on the Main Deck. 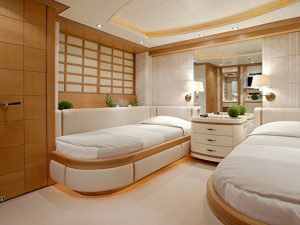 While two double and two twin cabins, are on the Lower Deck. 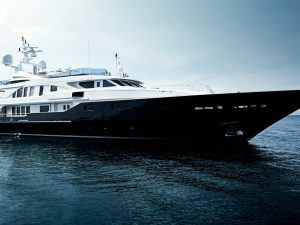 She has a steel hull with aluminum superstructure. 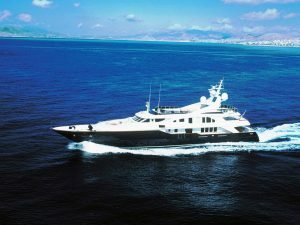 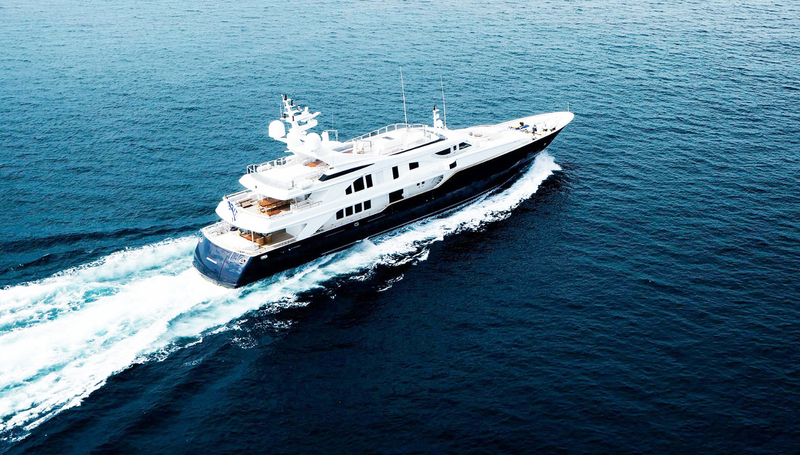 While her two MTU main engines with a total of 4524 hp cruise her at 16 knots and reach a max speed of 18 knots. 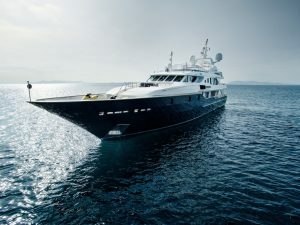 Finally she is also fitted with Vosper Stabilizers. 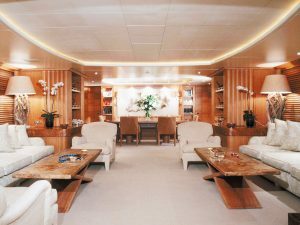 2 VIP Suites: 19’ Sat TV, DVD& Home Theatre sound system, VCR, Stereo, Radio. 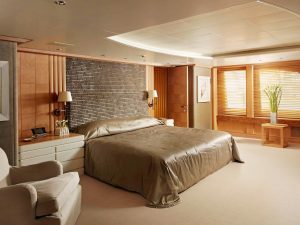 2 Double Suites: 19’ Sat TV, DVD & Home Theatre sound system, VCR, Stereo, Radio. 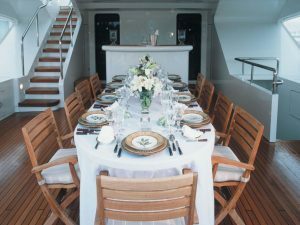 2 Twin Cabins: 19’ Sat TV, DVD & Home Theatre sound system, VCR, Stereo, Radio.